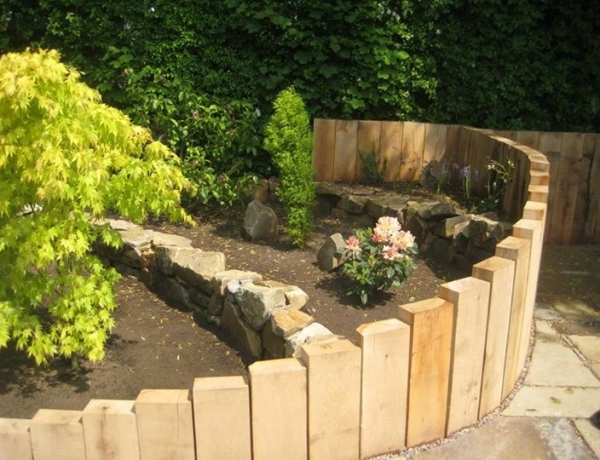 This Oak Sleepers Design in Wilmslow is extremely popular and takes up the majority of the landscaping jobs we carry out in the Wilmslow area! 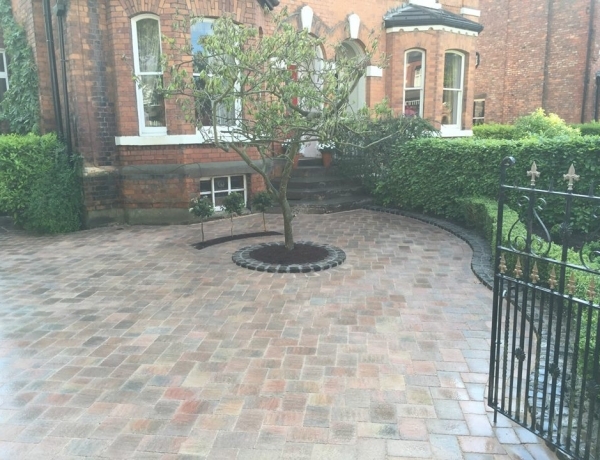 Here's a case study of a job we did landscaping in Didsbury. It only took 6 days and look at the results! 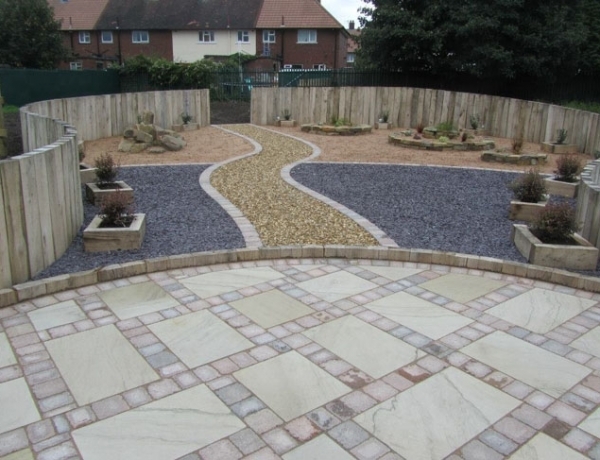 Beauscape have been landscaping in Cheshire for years now and love doing the jobs that you hate, whether on an annual contract or as one off jobs! 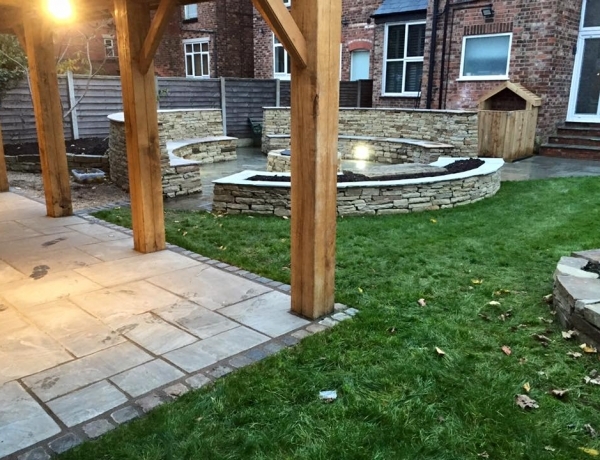 Following a string of successful landscaping projects developing school grounds in the Cheshire and Manchester area, we are proud to release our Beauscape in schools branch! 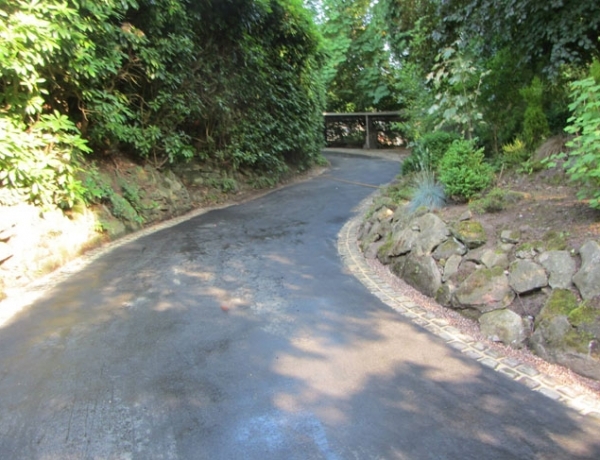 Whilst tarmacking in Alderley Edge, we designed a beautiful tarmac driveway with an Indian stone feature circle. 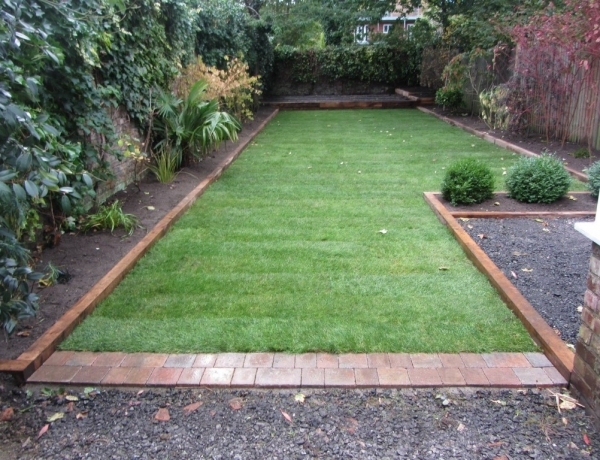 A well maintained lawn is often the pride and joy of any garden offering a large coverage for relatively little money in comparison with over surfaces and coverings. 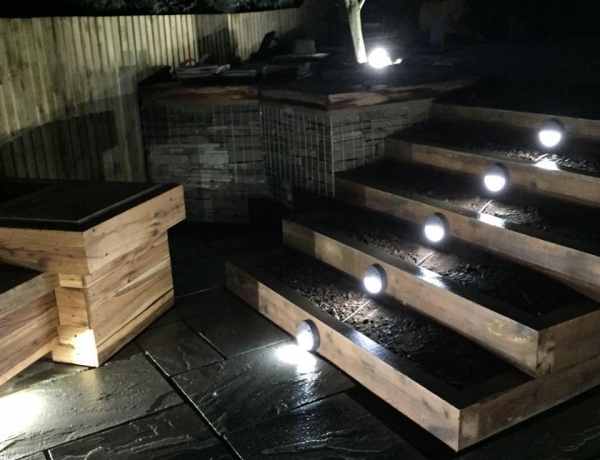 At Beauscape, we only use top quality durable materials in our designs and we prefer to work with locally sourced products and materials.